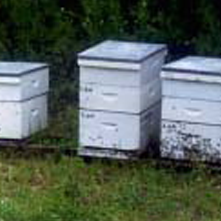 Good plantations utilize slow burning and bees for pollination. 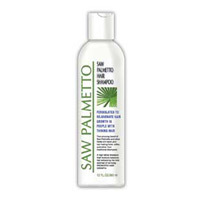 The Saw Palmetto Harvesting Company has access to over 250,000 acres of saw palmetto plantations. A good plantation is one that is burned in early fall after the harvest. This serves as a form of pruning and providing accessibility for large acreage. This procedure stimulates growth, increases bloom and controls underbrush. Pollination is also important for creating heavier crops and larger fruit. The burn has to be slow and cool. This is what is referred to as a control burn. This will prevent the heart of the saw palmetto from damage. The plants will usually grow back rapidly and have a bumper crop the following year. This also allows better access to the berries and provides a safer working environment for the pickers by keeping down the thick undergrowth providing better visibility..
Bee hives placed throughout the plantation, will provide excellent pollination for high yields and larger fruit. Many ranchers contract with our company to sell us their berries. 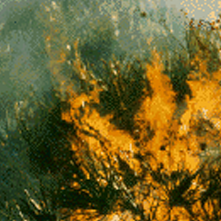 We are selective and contract with ranchers who have properly maintained their saw palmetto plantations with burning, pollination, and provide easy access for picking crews, such as, well marked and maintained entrances and exits. The Saw Palmetto Harvesting Company is knowledgeable in the European regulations as it applies to cultivated/plantation grown herbs as compared to those wildcrafted. Complete audit reports are available showing the date the berries were picked and which plantation they were obtained from. 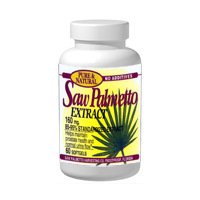 We also have a large quantity of certified organic saw palmetto berries. 160 mg sofgels fortified with Pumpkin seed and betasitosterol Bottle of 60 size "image of bottle"
320 mg sofgels bottle of 30 or bottle of 90 to pick from "1 image of bottle"
Saw Palmetto Shampoo "SAw Palmetto Shampoo"
Distributors, Manufacturers, and Resellers, enter your email address to receive updates on availability and pricing of bulk berries, powders, and extracts. 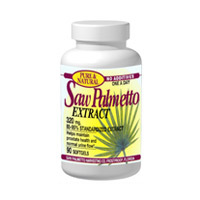 You can order our full ine of Saw Palmetto Products at www.herbalproducts.com now. When visiting our company in Lengby, Mn, be sure to visit Palubicki's in Fosston, MN which has it all. A full line super market, with a Caribou Coffee, sit down deli, called Bristro's, a Liquor Store and full Line Pharmacy. !